This project gives place to three new, talented female Cambodian directors to express their voices by producing their first-ever short films. Anti-Archive’s mission centers on the three women who have worked behind the scenes (or onscreen as actresses) to produce its films since 2014: Danech SAN, Sreylin MEAS, and Kanitha TITH. The project was launched as a crowdfunding campaign on Indiegogo.com in December 2017, with the goal to raise USD$15 000 in 15 days, in order to fund the production of the three short films. This goal was far surpassed, and the campaign ultimately raised a total of nearly USD$28 700, both on and offline. ​Watch the pitch video at right. The world of filmmaking rests upon an absurdity: a new filmmaker can demonstrate their skill only when given the opportunity to make their first short film. But in countries without adequate arts infrastructure, a debut short film is the hardest thing to finance, because it creates little revenue, and the filmmaker has yet to earn any trust. That’s why Anti-Archive aimed to provide space to those voices for a more creative, sentimental, and provocative future. 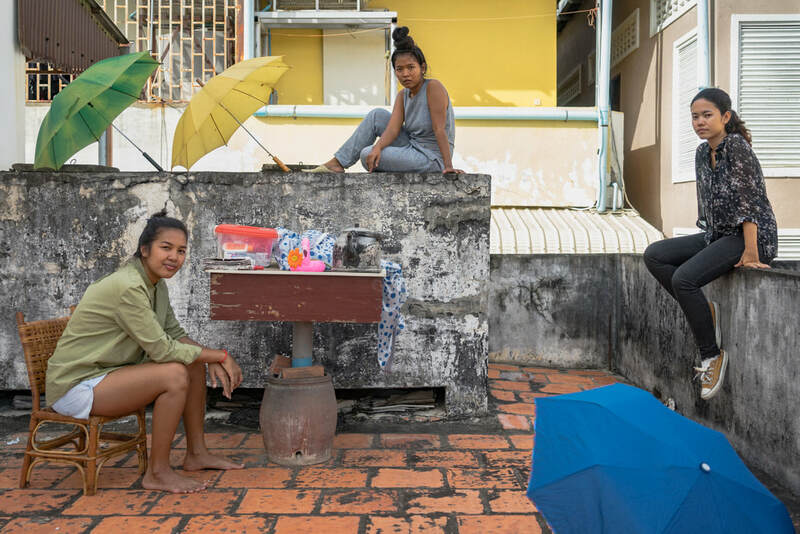 If successful now, we hope this is just the beginning of a Cambodian arts movement attuned to the young, the ignored, the female, the local, the real. ​​The project has so far fully completed one film: Danech San's A MILLION YEARS, which held its world premiere in competition at Busan and won the Best Southeast Asian Short Film award at Singapore. The second film, CALIFORNIA DREAMING, by Sreylin Meas, is currently in post-production, and the third film, Kanitha Tith's TIME MOVING FORWARD, is nearing the end of production. Watch the filmmakers' thank-you video at right.